Astronomist. Discovered Uranus, several nebulae, and binary stars. Maury showed Job 28:25 to be true with respect to the weight of the winds. Maxwell was an elder in the church he helped establish near his home. “Without Him, I understand nothing; without Him, all is darkness…Every period has its manias. I regard Atheism as a mania. It is the malady of the age. 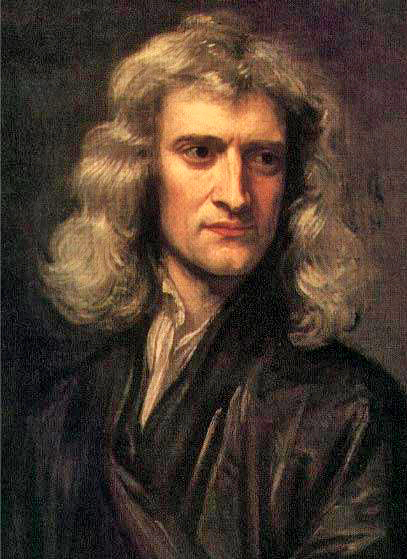 “Scientific concepts exist only in the minds of men. The fossil record reflects the original diversity of life, not an evolving tree of increasing complexity. There are many examples of “living fossils,” where the species is alive today and found deep in the fossil record as well. Fossils of a wide variety of flying and crawling insects appear without any transitions. Dragonflies, for example, appear suddenly in the fossil record. The highly complex systems that enable the dragonfly’s aerodynamic abilities have no ancestors in the fossil record. There is ABSOLUTELY NO EVIDENCE/PROOF that Evolution as taught and believed by Evolutionists EVER transpired. There is NO fossil record of a two reptile parents giving birth to a DOG…or a BIRD…or a HUMAN. NONE. ANYWHERE. I.e., there is NO fossil record anywhere to suggest that ANY creature transmorgified into any other creature. Rabbits gave and give birth TO RABBITS. Chickens gave and give birth TO CHICKENS. Apes/monkeys gave and give birth TO APES/MONKEYS. Humans gave and give birth TO HUMANS. 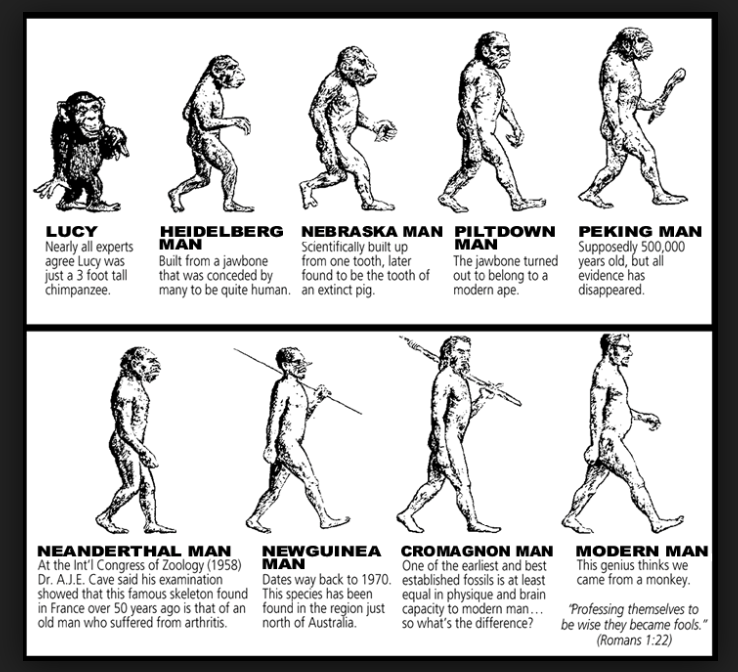 Also in some 6-12,000 YEARS of human observation there are NO EMPIRICAL, VERIFIABLE RECORDS OF LIVING CREATURES EVOLVING FROM SAY FROGS TO SKUNKS. In short there is NO evidence anywhere of evolution. Oh, sure, there are some “scientists” who dress up spurious theories in scientific jargon to confuse and bamboozle…but they have not and CAN NOT produce one shred of actual, real, scientific and empircal evidence that evolution EVER took place- NOT ONE TIME. 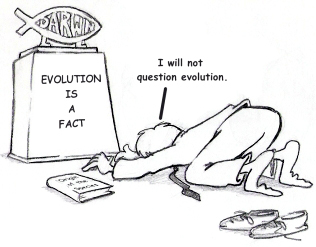 As to Creator God using evolution to create…utterly false. Evolution, at best, LIMITS AND RESTRICTS God. God supplied the basic mass, energy, light, elements and so-forth AND BLIND CHANCE did the rest?!! That in and of itself is spurious. And as already shown there is NO evidence anywhere of evolution- AT ALL. God did NOT “need” evoluition to do anything. No more than you could blow your car up and “create” a “something” even remotely useful and useable, The “Big Bang” is equally as ludicrous. No more than 50 blind apes on PCP could design and assemble a GMC Yukon Denali, you can NOT “just get” the ENTIRE UNIVERSE in all it’s minute detail and design through a series of BLIND CHANCE ACCIDENTS. It not only DIDN’T happen that way- it COULDN’T happen that way. The SCIENTIFIC FACT that there is the evidence of MAN through out the entire “geological column” obliterates the MYTH of Evolution 100% on it’s face. Please let me posit some MORE FACTS FROM SCIENCE. Darwin admitted that the fossil record did NOT support his theory/MYTH. I’ve posited time and again FROM A HOST OF SCIENTISTS, even including some Darwinists, who admit and testify WITH THE WEIGHT OF EVIDENCE that there is NO evidence FOR Darwinian evolution whatsoever. NONE. I’m not “neglecting to see and look at the Evolutionist’s view”…I have, and as I have stated many times their side has NO evidence, NO empirically tested and verified/verifiable science, NOR ANY Scientific PROOF…even fellow Darwininians call it a “bed-time story” a “pernicious illusion”. I simply call it a MYTH. Shaped according to human prejudices. I have presented PROOFS AND EVIDENCE. I have presented SCIENTISTS AFTER SCIENTIST who ARE CHRISTIANS, who via SCIENCE, the evidences and proofs of REAL SCIENCE examined over the CENTURIES, and their SCIENTIFIC CONCLUSIONS… that ALL come down on the side of a Creator/Designer who actually Created/Designed EVERYTHING great and small throughout the universe. Again, to which evolutionary “Scientists” have NOT even DIRECTLY replied let alone refuted in a direct manner. 1. Would you buy a $3,000 computer from the trunk of a car from someone who said “No one designed or made it…it just put itself together.” ? 2. Would you go to a Lexus Dealership and buy a Lexus SUV from a salesman who BLEW-UP a Lexus and then tells you “It’s NOW a Bentley.” ? 3. Can you honestly examine all that we do know about ONE SINGLE STRAND OF DNA and HONESTLY tell me, or anyone, that that DNA molecule is the result of a HUGE Cosmic Accident resulting from billions of years of trial-and-error? And you can call my SCIENTIFICALLY AND REASONED Based world-view sophist, eh, call me a sophist engaging in sophistry…whatever…I have REAL SCIENCE AND EVIDENCE on my side. Please show me scientific, empirical evidence that ANY chain of ACCIDENTS AND EXPLOSIONS EVER created ANYTHING…PLEASE, show me PROOF that EVER happened. We can discuss this as long as you want but I see little point of providing quotes DIRECTLY FROM PIONEERS AND EXPERTS IN VARIOUS SCIENTIFIC FIELDS and SHOWING EVIDENCE OF MAN COINCIDING WITH DINOSAURS which evolutionists then blithely sweep aside and ignore. I have proffered several sets of questions based upon reason and logic which have not one time even directly addressed. Again, from WHERE did the essential and initial mass, energy, elements ABSOLUTELY NECESSARY FOR EVEN ONE CELL TO BE CREATED COME? Again, SHOW ME, SHOW US, ONE time when an EXPLOSION and a SERIES OF ACCIDENTS ever created anything. Please show PROOF that a lizard came from a frog, or a chicken came from a bald eagle…or vice versa. Please show PROOF that man came from apes, monkeys or chimpanzees. And Lastly, PLEASE show where this MYTHOLOGICAL Miracle STILL TRANSPIRES. Surely if for BILLIONS AND BILLIONS OF YEARS the “magic” of evolution did once take place- WHERE is even ONE example that it STILL takes place? Has even so much as ONE created being EVER turned into another in the last 6-10,000 years of observable history? I will for now continue to answer your queries, but until evolutionists begin to ACTUALLY ADDRESS the multiplicity of EMPIRICAL SCIENTIFIC EVIDENCE AND TESTIMONY I’ve proffered I see little point in going further in this discussion. I will do so because I view this as an oppurtunity to let REAL FACTS speak for themselves. And because ALL of Creation, “these things”, are here AND, we ARE here to observe them is NOT testimony of a Universal, Cataclysmic, Cosmic EXPLOSION and a random, NON-planned chain OF ACCIDENTS…but THE EVIDENCE AND EXISTENCE OF ALL THIS DESIGN SCREAMS OUT CLEARLY THAT THERE IS INDEED A DESIGNER/CREATOR. To say otherwise is utter FOLLY AND NONSENSE.